In a major setback for the Ruia family, the promoters of insolvent Essar Steel, the National Company Law Tribunal’s (NCLT’s) Ahmedabad Bench on Tuesday rejected the plea of its majority shareholder, Essar Steel Asia Holding Ltd (ESAHL), to submit a settlement proposal. In its order rejecting the interlocutory application (IA) 430 of ESAHL, the two-member Bench comprising adjudicating authorities Harihar Prakash Chaturvedi and Manorama Kumari held that as the holding company and majority shareholder, ESAHL did not have the locus standi to make a debt settlement proposal as it did not approach as a resolution applicant unlike others. Essar is expected to challenge the decision in the appellate tribunal. “We continue to believe that our offer of Rs 54,389 crore is the most compelling proposal available to Essar Steel creditors. It seeks to repay all classes of creditors and fulfils the IBC’s overriding objective of value maximisation that has been established time and again by courts at all levels. We submitted the proposal under the recently introduced Section 12A of the IBC (Insolvency and Bankruptcy Code) and the recent judgment of the Supreme Court has established that the section’s provisions are applicable retrospectively. We are awaiting a copy of the full NCLT order, and will take a call on next steps after we have thoroughly gone through the contents,” an Essar Steel spokesperson said. It further observed that other than the resolution applicant i.e. ArcelorMittal, the resolution process “cannot be made open to other person to make application under Section 60(5) of IBC”. “IA 430 is rejected on the grounds that it is not maintainable before this adjudicating authority under 60(5) of the IBC,” the order read. The Bench observed that the scope of the settlement proposal under Section 60(5) would not be proper when a specific provision under Section 12(A) of resolution plan had already been incorporated. The tribunal reiterated the Supreme Court (SC)’s recent judgment on January 25 where it upheld the Constitutional validity of the Insolvency and Bankruptcy Code (IBC) and Section 12A, which talks about adjudicating authority being able to allow withdrawal of application made under Section 7 or Section 9 or Section 10, on an application made by the applicant with the approval of 90 per cent voting share of the CoC. Unlike ESAHL, which made a settlement offer outside of the resolution process, ArcelorMittal had submitted a resolution plan, which was approved by 92 per cent of the CoC. 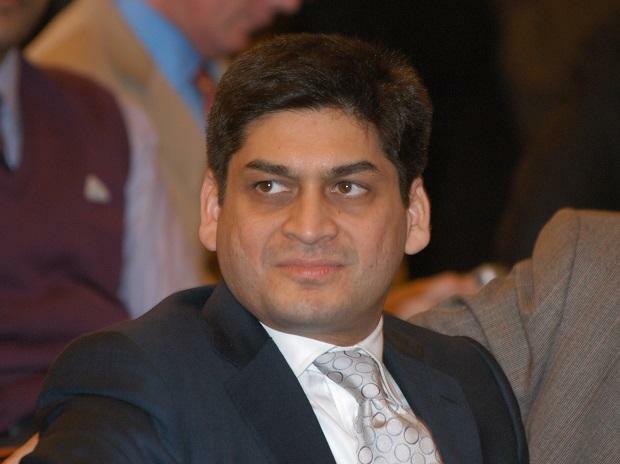 The Bench also observed that while the Transfer of Property Act, as invoked by ESAHL is establishing its locus standi as a shareholder to redeem Essar Steel, was a constitutional right under Article 300A of the Constitution of India, the SC had also upheld the IBC’s Constitutional validity. The Bench will now hear on ArcelorMittal’s resolution plan which was approved by Essar Steel’s Committee of Creditors (CoC). The order on Tuesday comes after the National Company Law Appellate Tribunal (NCLAT) last week directed the NCLT to decide on the ArcelorMittal resolution plan by January 31. The NCLAT, by way of a last opportunity, had allowed the NCLT to pass an order on the plan by the date, failing which it would pass an order on February 4. Tuesday’s order pertained to maintainability of the Ruias’ offer. There was an urgency to wrap up the Essar case, one of the largest accounts on the Reserve Bank of India’s (RBI’s) first list of non-performing assets (NPAs), which had been dragging for more than 540 days now.